The Origin of the Phrase "Jump on the Bandwagon"
For those not familiar, when you jump on the bandwagon, it means you begin supporting a hobby, idea, person, etc. after it has become popular or successful. P.T. Barnum is the famous circus owner and showman Phineas T. Barnum. Back then, circuses were known for their showy parades through town before they set up. These parades attracted villagers’ attention and acted as an easy marketing ploy to get people to go to the circus. Bandwagons were part of those parades. Bright and ornamental, they were impossible to miss. 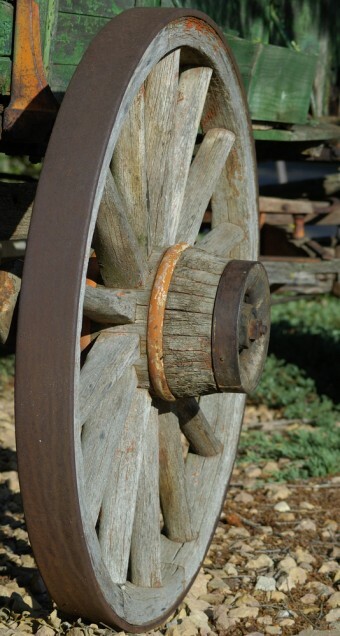 Toward the end of the 1800s, people had caught on to the fact that bandwagons snared an audience’s attention. Politicians started to use bandwagons in parades through towns on their campaign trails. It’s believed that Dan Rice, a famous circus clown, was the first to rent out his bandwagon to a political campaign. There are records of the phrase used in political speeches throughout the 1890s, usually in the form of warning potential voters not to “jump on the opponent’s bandwagon in haste.” Because of the negative connotations associated with the phrase, many didn’t admit to having a bandwagon of their own despite it becoming common. When I once became sure of one majority they tumbled over each other to get aboard the band wagon. Phineas Barnum is responsible for other additions to the English language. 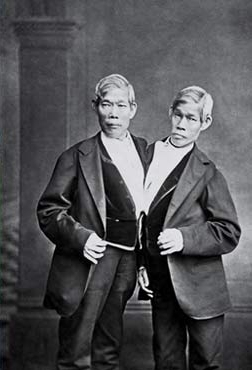 For instance, he popularized the term “Siamese twins,” which he called the conjoined twins Chang and Eng Bunker, who were literally joined at the sternum. The pair were from Siam, which is now Thailand. However, despite claims that he not only popularized the term, but coined it, this is probably incorrect. The pair were indeed showcased in the circus, but first by Robert Hunter, not Barnum, and the term “Siamese twins” started being used around the time they were in Hunter’s employ. Barnum certainly did have a large hand in popularizing the term, though. Barnum was also responsible for popularizing the term “jumbo.” The word was first recorded by John Badcock in Slang: A dictionary of the turf, in 1823. It meant “a clumsy or unwieldy fellow.” In 1882, Barnum acquired an elephant from the London Zoo whose name was Jumbo. Because Barnum and his circus were quite popular, the name spread. As it was attached to a giant elephant, “jumbo” took on the meaning of “huge.” The word “jumbo” itself might come from a word meaning “elephant” in a West African language. Incidentally, Chang and Eng are not responsible for the phrase “joined at the hip,” as is often said. As mentioned, the pair were actually joined at the sternum and there isn’t much in the way of documented evidence joining the twins to the phrase. The earliest print record of the phrase can be found in 1963, but is is thought to have been around long before that. Chang and Eng went on to become successful businessmen in the South and even married two sisters (who were not conjoined). Chang had 10 children with his wife and Eng had 11 with his. Needless to say, being married to conjoined twins and sleeping in the same bed eventually caused issues with the wives, which they solved by creating separate homes that the twins would take turns spending time at. Ultimately Chang had a stroke on January 17, 1874 and died in his sleep. Eng woke up the next morning and upon seeing his brother was dead called for the physician to try to separate himself from Chang. The two were joined simply by skin, some cartilage and their livers, which were fused but otherwise independently functional. Unfortunately for Eng, he did not survive long enough for the procedure, which would have been risky anyways in that era, but at least was a better option than the certain death that awaited without being seperated. They are today survived by over 1,500 descendants.